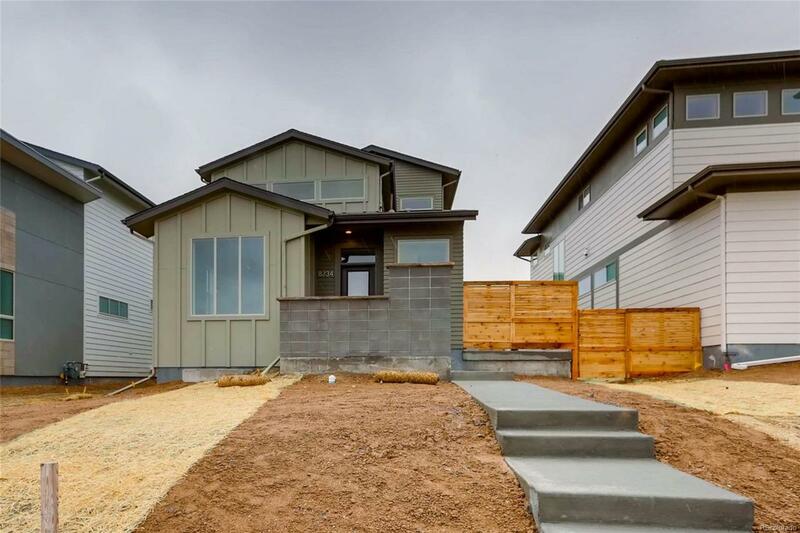 Stunning new executive contemporary home with flexible interior living space, featuring gorgeous finishes and upgrades throughout. Gleaming hardwood floors on the main level in this open floor plan flow from the great room, dining room into the kitchen and office. Indoor/outdoor lifestyle that flows from the great room and kitchen, onto a large patio lined with glass doors. Chef's kitchen with granite counters, upgraded white shaker cabinets, upgraded stainless gas convection along with a second Bosch oven and microwave. Private study, master suite with European frameless shower and gorgeous wall tile and closet systems. Upstairs features include a 10' ceiling and built in Closet Factory systems in all bedrooms. Finished basement with large recreation room, 4th bedroom and 3/4 bath. Energy efficient home with personality and vitality with 2760 square feet. Designer upgrades, and quartz in all baths. Ready now. This one won't last!